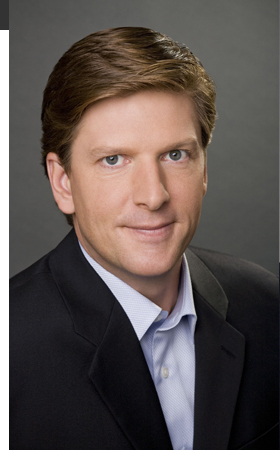 Ted Rowlands is a general assignment correspondent for CNN/U.S. Based in Chicago, he has covered several high profile stories for the network, including the ongoing violence in Chicago, the trial and conviction of former Illinois Governor Rod Blagojevich, the gubernatorial recall election in Wisconsin, and the deadly shootings at a Sikh Temple in Wisconsin and at a high school in Ohio. Since joining CNN in March 2004, Rowlands has contributed to CNNs Peabody Award-winning coverage of Hurricane Katrina and its aftermath, and CNNs Peabody Award-winning coverage of the historic presidential election in 2008. He was also an occasional guest host for Larry King Live. Rowlands has broken several stories exclusively on CNN, including the 2007 arrest of O.J. Simpson in Las Vegas, and a 2009 jailhouse interview with Scott Roeder in Wichita, Kans. days after Roeder was arrested for the murder of Dr. George Tiller. He has been CNNs lead reporter on the trials of Scott Peterson, Phil Spector, and Michael Jackson. His extensive reporting on Jackson includes the stars death, providing the latest on the criminal death investigation, and a rare, live tour of Jacksons Neverland Ranch. His reporting for the network also includes the shooting massacre at Virginia Tech, and the passing of Presidents Ronald Reagan and Gerald Ford. In addition, he has reported on location from Mexico during the initial phase of the H1N1 pandemic and from Ft. Hood, Texas, in the wake of the shooting on the post that killed 13 people. Before joining CNN, Rowlands was a reporter for KTVU-TV in San Francisco, where he was the stations lead reporter covering the Laci Peterson case and one of only a few journalists to land an interview with Scott Peterson. Prior to joining KTVU-TV, Rowlands was a reporter with KNTV in San Francisco, where in 1999 he exclusively broadcast the confession of Cary Stayner, who had been accused of murdering two female tourists and a park employee in Yosemite National Park. Rowlands also covered the San Francisco dog mauling case and trail in 2000. Rowlands has served as a bureau chief and reporter for KSBW-TV in Salinas, Calif. and began his broadcast career as an anchor and reporter for KBJR-TV in Duluth, Minn. Rowlands has a bachelors degree in communication arts from the University of Wisconsin at Madison.